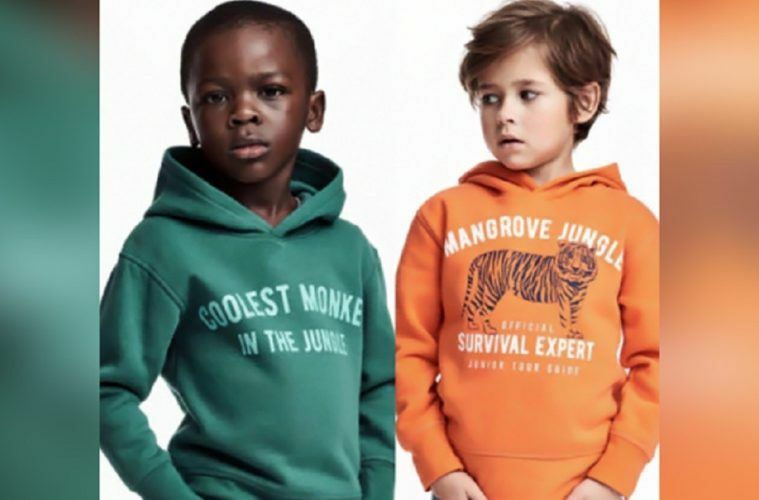 I'am sure we all have seen the ad from H&M recently depicting a kid wearing a hoodie with the words "Coolest Monkey in the Jungle". A genius move by H&M, who knew it would cause a shitstorm of complaints, which it did. Well, maybe, i wouldn't know. I have no experience when it comes to PR or advertising, but what i do know is that it worked perfectly and as intended. People raged and screamed, proclaiming racism and demanding the ad being removed. H&M did remove the ad quite quickly, it had already done it's job. Ironic really, how those who proclaim racism are the ones who inherently have racist thoughts, i mean he IS the coolest monkey in the jungle, we all are. For the most part I have no interest in being pc in my day to day life. Thankfully it's not as bad here as in some countries but even I can see that this was just a bad idea. It got huge amount of attention and went basically viral, it got people talking about H&M again, i'am not sure i would call that a bad idea. What about the celebrities who have pulled their clothing lines from h&m? The stores that were broken into and vandalized. The customers who will never shop there again and their share price dropping to its lowest value since 2008? Doesn't sound very positive to me and certainly doesn't seem likely to increase profit or drive sales like a lot of publicity should. Good point, i still think it was blown way out of proportion however, espesially all the racism mumbo jumbo. Absolutly, most things are these days unfortunately. No such thing as a bit of banter anymore, now its all discrimination or defemation. Congratulations! This post has been upvoted from the communal account, @minnowsupport, by Nasgu from the Minnow Support Project. It's a witness project run by aggroed, ausbitbank, teamsteem, theprophet0, someguy123, neoxian, followbtcnews, and netuoso. The goal is to help Steemit grow by supporting Minnows. Please find us at the Peace, Abundance, and Liberty Network (PALnet) Discord Channel. It's a completely public and open space to all members of the Steemit community who voluntarily choose to be there. To give some context, i have a background in marketing and graphic design, call me ignorant (or perhaps free of racist thoughts) when i first glanced over this post, i actually looked at the image for like 5 minutes and thought to myself "whats racist here?" So like, if i was the marketer, asked to design that graphic, or even the guy that had to approve it i would be like "yeah sure" as nothing particularly bad even popped up in my mind when i saw that, but, thats me, im not racist, so i dont think about racist stuff, i just saw "kid in green jumper " that was all. If these things are an issue, a big company like H&M SHOULD be running any print media ideas through their PR department who should, be giving feedback, so as to avoid these scenarios. The reason i say this, is because it is VERY EASY for a artist, graphic designer and marketers creative vision to get taken the wrong way than it was intended, its very very common, thats why you always double check things before pressing "print"
Just dropped a new post myself, about the latest 24 Hour Sydney Train Strike check it out if you get a chance.